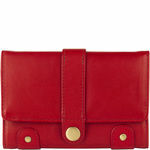 A smart ladies's tri-fold wallet with a tab closure- has classic Hidesign written all over it! - Hidesign embossed rivet tab for closure. 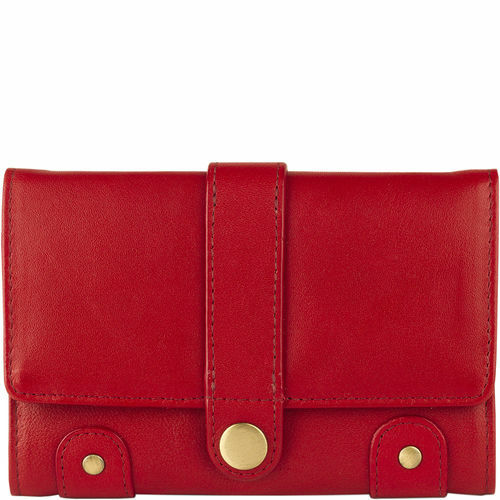 A smart ladies's tri-fold wallet with a tab closure- has classic Hidesign written all over it! PRODUCT DETAIL - One main compartment. 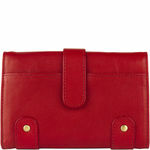 - Multiple card slots. - One ID window. - One zipped compartment. - Hidesign embossed rivet tab for closure.